This question comes up time and time again: What do I recommend for older teens and adults who need fast effective literacy support? In response, I have one, go-to program because it’s the best. It’s an online, touch-typing program that has an inbuilt reading and spelling program. The program was developed in the UK, it’s a family run business and is based around completing short repetitive 10 to 15-minute exercises. You know that is my favourite formula; short, sharp, repetitive learning! I promote this program because it gets incredible results, all three of my children have used it. Inside this touch-typing program, is a complete literacy program called Alpha to Omega, which is evidence-based. This program isn’t just about learning how to touch-type, it focuses on reading, spelling, punctuation and grammar, whilst also helping to improve cognitive processing rates. You choose; the display colours, the font style, see the hands on the screen, listen to the voice and type and you never have to look down at your fingers. It can be adapted to suit the learner. Touch Type Read Spell (TTRS) can be utilized in a number of ways with month to month and yearly subscriptions. It can be used in schools, tertiary institutions and correctional facilities to reduce reoffending rates and as such, I highly recommend it. You can find a link here for a 10% discount using the discount coupon code DD101. It is worth just trying this valuable program, to see how it goes, for older children, teens and adults. 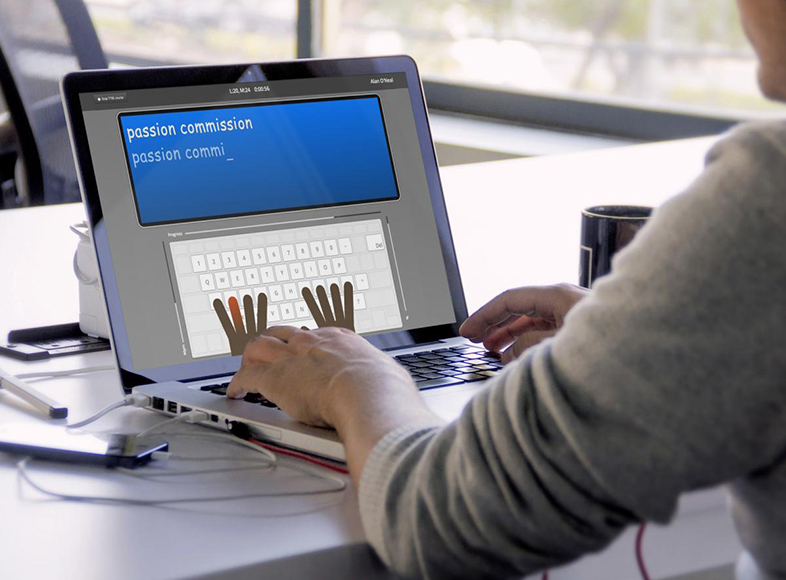 In saying that; anyone whose fingers can reach the keys on a keyboard can use this program, even children with physical disabilities have great success. 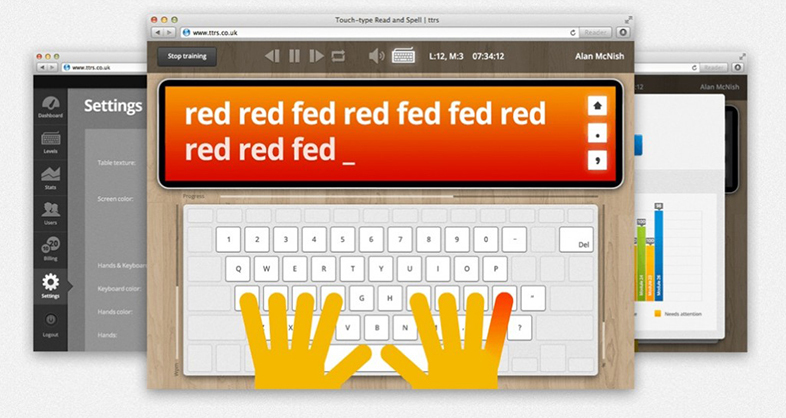 This touch-typing program has both UK and US voices and can be used on a Mac or a PC. The aim of the program is to develop literacy skills while also developing confidence, self-esteem and motivation. Only the best programs do that! Recently this program has added topic lists for school subjects, so students can learn keywords that are specific to individual secondary school subjects. Within the program, there are 24 levels and 31 modules to progress through, just like my program The Ten Minute Tutor, each module takes about 5 to 10 minutes. Continued success is encouraged because you get immediate feedback with TTRS. I recommend that students achieve at least 90% accuracy before they progress to the next module. Accuracy is very important because it develops kinaesthetic, muscle memory in students’ fingers. You can virtually teach the muscles in your fingers how to spell certain words, even if you don’t have a good long-term visual memory for how words look. In the beginning, it is all about accuracy, the speed comes later and believe me it doesn’t take long for students to fly with this perseverance. Here are some quotes from people who have used this program. My oldest son was able to improve his reading age by 3 years, from 8 to 11 and then catch up to his peers at school, simply by doing TTRS for one year. If you would like to know more, this LINK will take you to Dyslexia Daily, where you can get a 10% discount on TTRS simply by using the discount coupon code DD101. This program is used widely in the UK and also in UK jails where it has been proven to reduce reoffending rates. In Melbourne, Australia, there is a school of students who have been excluded from other schools for various reasons. In this school, the literacy teacher uses TTRS, not only for teaching reading, typing and spelling but also because she says, “It switches the student’s brains on and gets them ready to learn for the day”. There you have it, my recommendation for a fantastic literacy and typing program for teens and young adults and don’t forget to use that discount code DD101 to get your 10% discount.